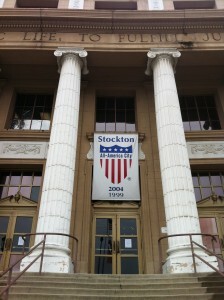 The City of Stockton filed a petition for Chapter 9 municipal bankruptcy relief on June 28, 2012, and the petition was accepted onApril 1, 2013. Earlier this year, on February 25, the City of Stockton exited bankruptcy protection. A stunning vote occurred at the October 20, 2015 meeting of the elected governing board of the Grossmont-Cuyamaca Community College District, located in the eastern suburbs of San Diego (“East County”). To the dismay and outrage of construction union officials anticipating a 4-1 victory, the board voted 3-2 to table a motion to negotiate a Project Labor Agreement with unions until the college consulted with its independent citizens’ bond oversight committee. Although the vote was a temporary setback for construction unions, its greater significance was its endorsement for a concept of taxpayer protection in California under duress in recent years. Three college board members, two of whom solidly supported a union Project Labor Agreement, declared publicly that their citizens’ bond oversight committee was valuable and important. Will a Few Republican State Legislators Open Floodgates for Costly Union Control of California Water Projects? Posted by Kevin Dayton at 5:12 pm on Jul 10, 2014 Comments Off on Will a Few Republican State Legislators Open Floodgates for Costly Union Control of California Water Projects? Union lobbyists try to be discreet when they influence the California State Legislature to gain advantages in public contracting. That secrecy is now crumbling in the case of a new “urgency” bill that authorizes a Monterey County water agency to use an alternative bidding procedure to build a pipeline project. Can unions whip this bill through the legislature before new revelations about backroom deals undermine local support for it? 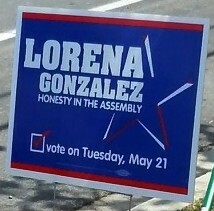 It depends on how many Republicans in the Assembly and Senate see construction union support as useful to their political futures. The Monterey County WaterResources Agency proposes a $25 million pipeline to improve water storage by transferring water between two reservoirs. It wants to use a construction procurement procedure called “design-build.” Instead of awarding separate design and construction contracts to the lowest responsible bidders, the agency would award one combined contract for the project based on subjective scoring criteria. Any fiscal conservative who joins a bipartisan coalition to advance a common cause needs to be wary about becoming one of the Left’s “useful idiots.” A classic example is now unfolding in Sacramento, where sports fans and corporate interests are clamoring for exceptional efforts – including a $258 million public subsidy – to retain the region’s one major league professional sports team, the Kings of the National Basketball Association. Emotionalism and financial self-interest are overwhelming critical thinking about mundane issues such as opportunity costs, municipal debt finance, property rights, regional transportation planning, and the role of government in redistributing capital. And the selected location for the new arena was a strategic error that may send the Kings packing to more lucrative pastures.